Coming to the Crystal Coast? Forget the Swim Suit! 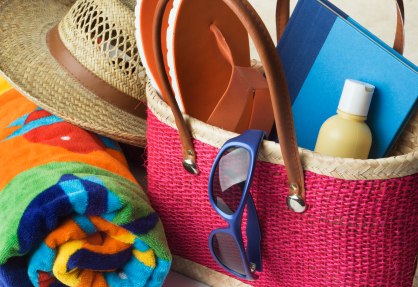 When packing for the beach, one of the first items to go into the suitcase is a bathing suit. If you’re planning a trip to the Crystal Coast then I say don’t bother. Just wait until you get to Emerald Isle and visit Fran’s Beachwear. Fran’s has a huge selection of swim wear. In all my travels, I have never seen a store with the choices for bathing suits that you will find at Fran’s. Whether you are looking for a two piece, one piece, tankini, petite, women’s or suits by cup size, Fran’s Beachwear is the place to go. Fran offers every color and style you can imagine. Like most women, my weakness is shoes and Fran’s Beachwear has an alcove full of the most unique shoes you will find. Some of my best catches have been sandals that are made by “Island Hawaii” Shoes. Fran’s has the largest selection of that brand that I’ve found on the mainland. Fran’s Beachwear also has a complete line of beach cover-ups, hats, shorts and outfits perfect for strolling along the sand at the waters edge or enjoying an evening out at one of the fine restaurants on the Crystal Coast. An established landmark in Emerald Isle for 30 years, the staff of Fran’s Beachwear is friendly, helpful and will make you feel right at home. Make sure you add Fran’s Beachwear to your agenda when visiting the Crystal Coast for some of the best name brands of bathing suits, clothes, jewelry and summer purses. Fran’s Beachwear is located at Mile Marker 19, NC Hwy 58 in Emerald Isle right next to the Dairy Queen so don’t eat too much ice cream or all your purchases from Fran’s may be to tight by the time your vacation is over. Feel free to share your experience or great finds at Fran’s Beachwear. I totally agree! Not only is it a great place to find suits, but they have great sales during the off-season!